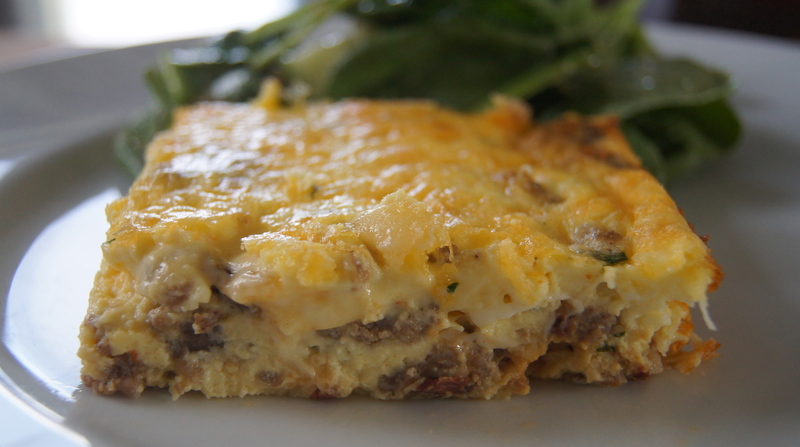 If you are looking for the perfect dish to serve for Easter brunch, here you go. We love to have this on our “breakfast-for-dinner” nights paired with a green salad and it’s also a great one to make on Sundays and reheat for quick breakfasts throughout the week. This is my go-to when we have overnight guests in town or when I am hosting a brunch…the meat mixture can be cooked, assembled and chilled the day before so all you need to do is whisk the eggs/cheese/milk and pour it on top right before baking. This savory, gooey goodie is always a hit around here. Note: If you are making the meat mixture a day ahead of time just store it in the fridge in the buttered dish…that way all you have to do is pour the egg mixture over it before baking. This may require a few additional minutes of baking as the meat has been chilled. Preheat oven to 375 and butter a 9×13 baking dish. 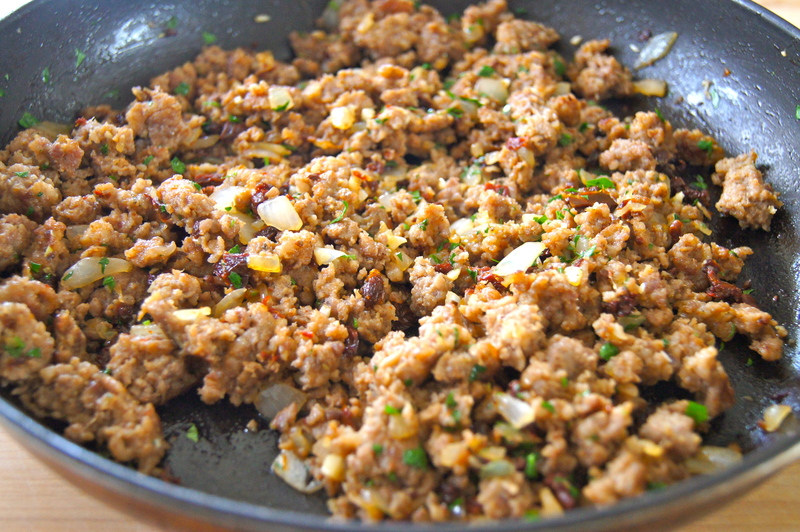 In a large skillet cook the sausage over medium high heat until beginning to brown, breaking up with the back of the spoon, about 8 minutes. Add the onion and cook until beginning to soften, about 4 additional minutes. Add the sun dried tomatoes and cook for one minute, stirring often. Stir in the parsley and spinach, if using, and remove from heat. Pour in the bottom of the buttered dish. 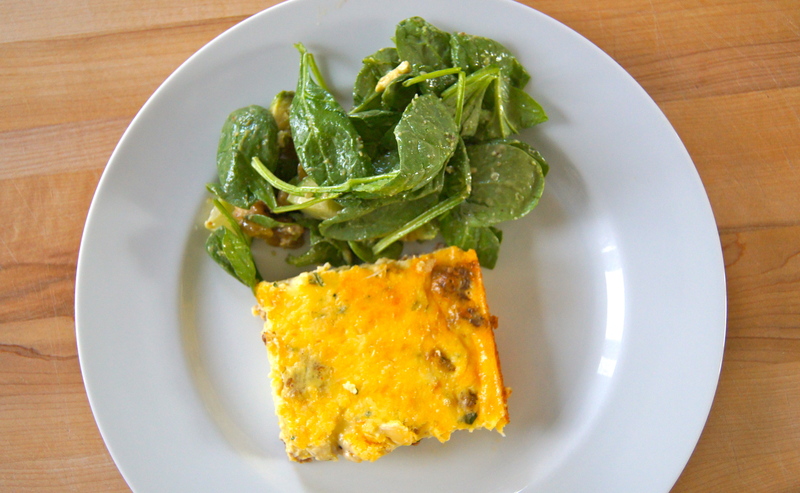 This is my favorite egg bake ever! Will be a staple in our house:) thanks Missi! So glad Heather!! Thank you for the note…hope all is well with you!